Despite the brain’s ability to map out function and behavior in an organized way, the mind transcends this fundamental capacity, and functions in many diverging directions based on a variety of environmental influences. 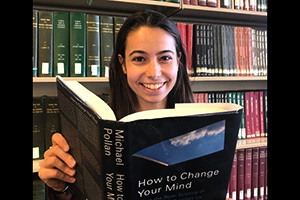 Michael Pollan explores this complex interaction between nature and nurture – the neurological debate of the century – in his most recent book that I’m reading, How to Change Your Mind. Pollan brilliantly explores this interaction through a comprehensive discussion of the contemporary clinical research and understanding of psychedelic drugs, such as LSD and psilocybin (the active ingredient in magic mushrooms). Using a journalistic approach, the book provides both first and third-person accounts of the mind’s journey into foreign and dynamic states of consciousness after exposure to these psychedelics. Pollan seeks to dismantle the stigma surrounding the recreational use of these chemicals by demonstrating their potential therapeutic properties, particularly for patients suffering from mentally and physically disabling conditions like anxiety, depression, and addiction. The efficacy of these drugs, he warns however, are context-dependent. Without the correct environment and mindset, the user might experience a negative psychological response. In addition to their clinical application, Pollan reveals these drugs’ universality in enabling a better understanding of one’s surrounding environment and the hidden crevices of one’s mind. While I’m skeptical about some of Pollan’s methodologies and generalized claims about the drugs’ effects, I would highly recommend this book to anyone who is curious about cognitive neuroscience, spirituality, and the history and future of medicine. Sounds like a fantastic book. I’m adding it to my list!